One architect's vision of a Second Street urban dog house your dog might really really "dig." 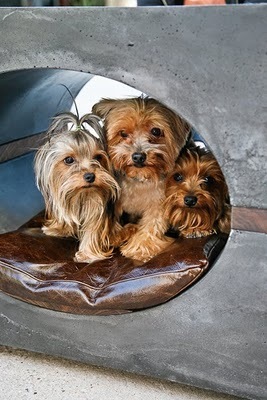 Three Yorkies "sit pretty" to illustrate dog house's form and function. 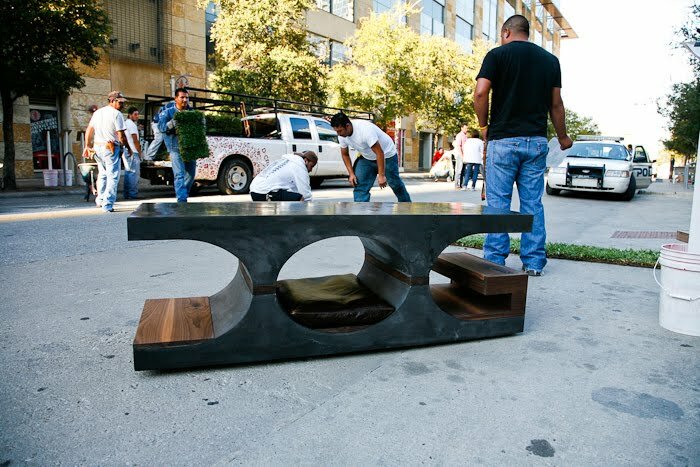 Barkitecture is an architectural dog-centric fundraiser that takes place on 2nd Street and showcases doghouses created by some of Austin’s best and brightest architects, designers and builders. Attendees bid on these unique doghouses, play at the 'pup-stop', learn more about adoption opportunities from local area rescue groups, and enjoy a Howl-o-Ween Fashound Show. austindogandcat faves from last year.